It seems like almost every day we're telling you about a food recall; unfortunately, we have another one for you and you're definitely going to want to check your kitchen. Even if the egg and romaine lettuce recall didn't affect you, this fresh-cut fruit recall may hit you right in the refrigerator. Updated: June 20, 2018 at 11:o1 a.m. Since the posting of this original article, 10 states have been added to the contamination list including: Alabama, California, Florida, Kansas, Maryland, Minnesota, Nebraska, North Dakota, South Dakota and Tennessee. 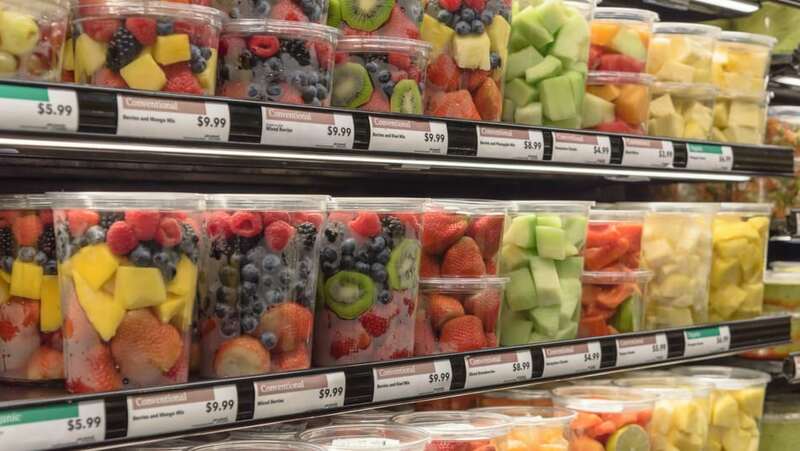 The stores included in the recall include Walmart, Kroger, Walgreens, Sprouts Farmers Market, Costco and Whole Foods/Amazon with a full list here. Caito Foods, LLC, working with the U.S. Food and Drug Administration (FDA) and Centers for Disease Control and Prevention (CDC), is recalling fresh cut watermelon, honeydew melon, cantaloupe, and fresh cut mixed fruit containing one of these melons, because the fruit may be contaminated with Salmonella. The CDC reports that 60 people have become ill after eating these particular products and being infected by Salmonella. 31 of those people have been hospitalized. The products with pre-cut melon were produced at the Caito Foods distribution facility in Indianapolis, Indiana. Caito Foods has ceased producing and distributing these products as the company and FDA continue their investigation, but because the fresh fruit products were shipped to stores between April 17 and June 7, 2018, they could still either be on the grocery store shelves or in your refrigerator. The cut melon products were packaged in clear, plastic clamshell containers and distributed in Georgia, Illinois, Indiana, Kentucky, Michigan, Missouri, North Carolina, and Ohio. The fruit is being sold at Costco, Jay C, Kroger, Payless, Owen's, Sprouts, Trader Joe's, Walgreens, Walmart, and Whole Foods/Amazon. Grocery stores should be pulling these recalled products off their shelves, but you may want to avoid buying anything with fresh-cut melon in it for a few weeks. And if you've bought any fruit salad or fresh-cut fruit medley with melon in it recently, check to see if it comes from Caito Foods. If so, throw it away or return it to the store for a refund. Most people infected with Salmonella develop diarrhea, fever, and abdominal cramps 12 to 72 hours after infection. The illness usually lasts 4 to 7 days, and most people recover without treatment. People with weaker immune systems like young children, the elderly, and those with certain health conditions are at greater risk for developing more serious infections. Consumers seeking information may call 844-467-7278 Monday through Friday, 6 a.m. to 10 p.m. CT and Saturday and Sunday, 6 a.m. to 6 p.m. CT. If you think you have symptoms from eating fresh-cut melon, please see your healthcare provider. Watch: What Your Birth Month Says About Your Health.